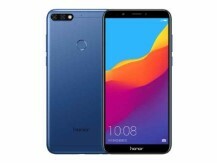 Huawei Launched New Smartphone Honor 7C with collaboration of Amazon India.Looking forward to replacing your existing phone? Here is Honor 7C with amazing features like dual rear camera, longer battery life, octa-core processor and many more - available exclusively on Amazon.in at an attractive price. ..Free Shipping & Fast for Prime Users. Activate your prime account .You can follow the below steps to buy this product at their deal price.Keep Visiting dealsheaven.in for more Best offers ,hot online deals, promo code, coupons and discount . 1 year warranty on handset and 6 Months on battery charger , 3 months on accessories (data cable) provided by the manufacturer from date of purchase.